A bill to keep the retirement age for women at 62 passed its first Knesset reading as the coalition backs down on its pledge to fight. The Knesset approved the prelimary reading of a bill Wednesday that would mandate that the retirement age for women remain at 62. The bill was introduced by Kadima Chairwoman Dalia Itzik and was approved with 67 votes for and 1 vote against. 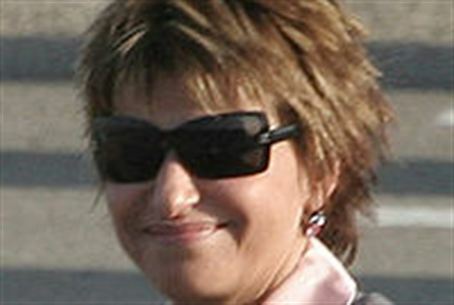 The coalition had initially said it would stand its ground on the Finance Ministry recommendation to raise the retirement age for women to that of men, but did not enforce party discipline during the vote, at the request of Likud's Tzipi Hotovely, who chairs the Committee on the Status of Women. Itzik stated she believed the coalition folded when they realized there was a consensus against their position despite the fact that the Finance Ministry's plan matched OECD recommendations. As populations live longer, the OECD has recommended nations with lower retirement ages raise them and, with women becoming increasingly integrated into professional working environments, that retirement ages be standardized. Critics of Itzik's bill noted with some irony that 67 -- the number of MKs who voted for the bill -- is also the retirement age for men and said gender equality could not be achieved by kow-towing to institutionalized discrimination. Israeli men have one of the highest retirement ages of OECD countries. The standard retirement age for men and women in OECD countries is only one year apart, 63 and 64 for women and men respectively.